Hey everybody on OG! 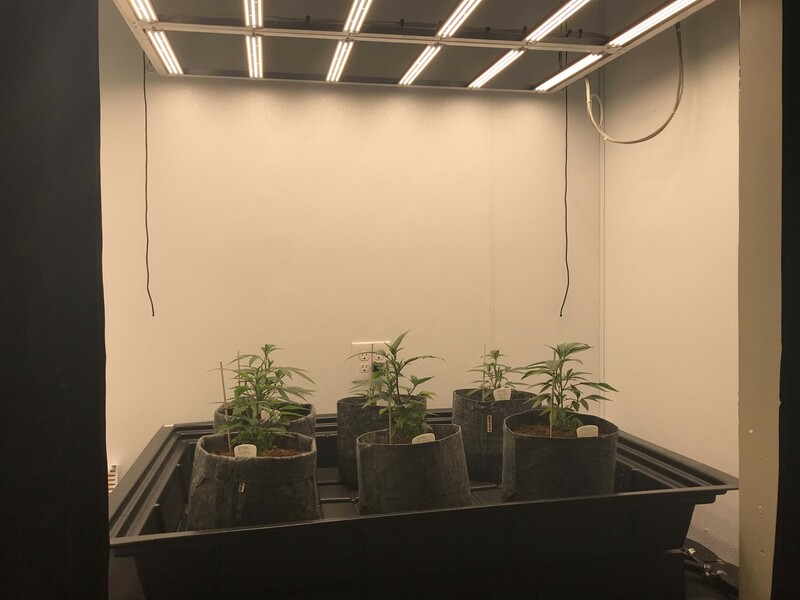 This is my first grow and I've been setting up for about two months and we're in Week Two since the clones went into the room. 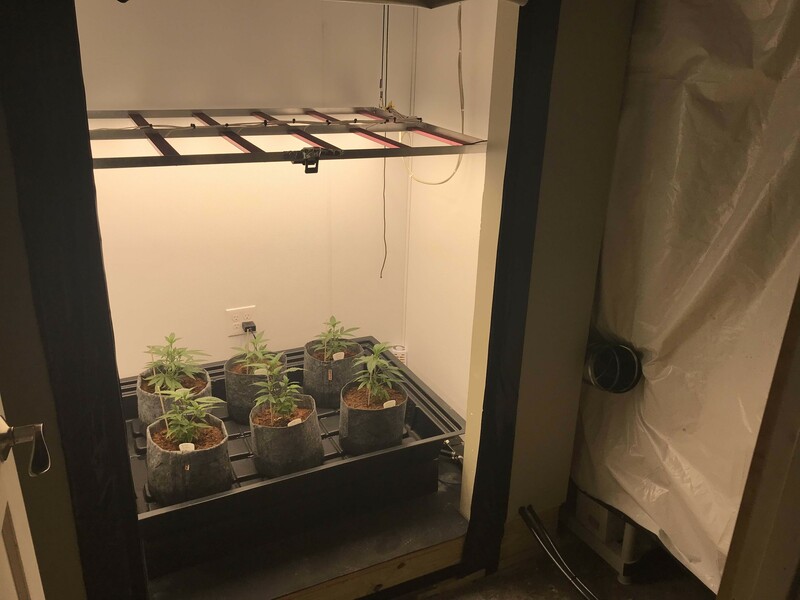 We are a Co-op, meaning that we are a group of five investors who pooled about $500 each to put together a grow room using the best technology we could find and share whatever we harvest. 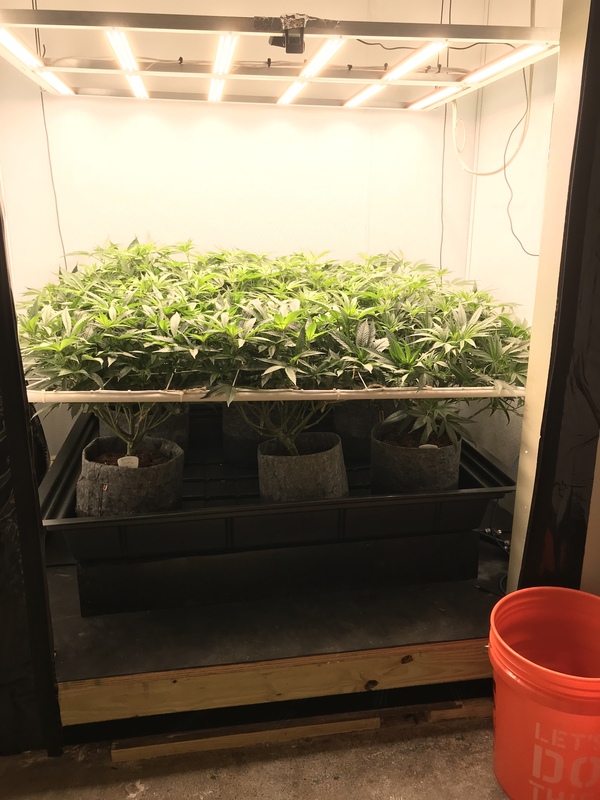 I am the primary cultivator in the group as this is built in my basement and I'm responsible for everything that happens inside the room. We basically built a 4'x5'x7' box, with full 2x4 studs, insulation and sheetrock/FRP on the walls and ceiling. Thanks to OG I was able to find the SolStix X3 and put together a 12-strip light being driven by (2) HLG-320H-36B drivers. These things are as bright as the sun and were super easy to put together. We've got a 3'x4' flood table being fed by a 30gal reservoir. For ventilation, we have a 4"x20" Lo-Pro Pfresh filter running on a 200CFM exhaust fan. I closed up the door with a sheet of panda plastic, which is sealed with 2" Velcro all around and accessible with (2) heavy duty VivoSun zippers. 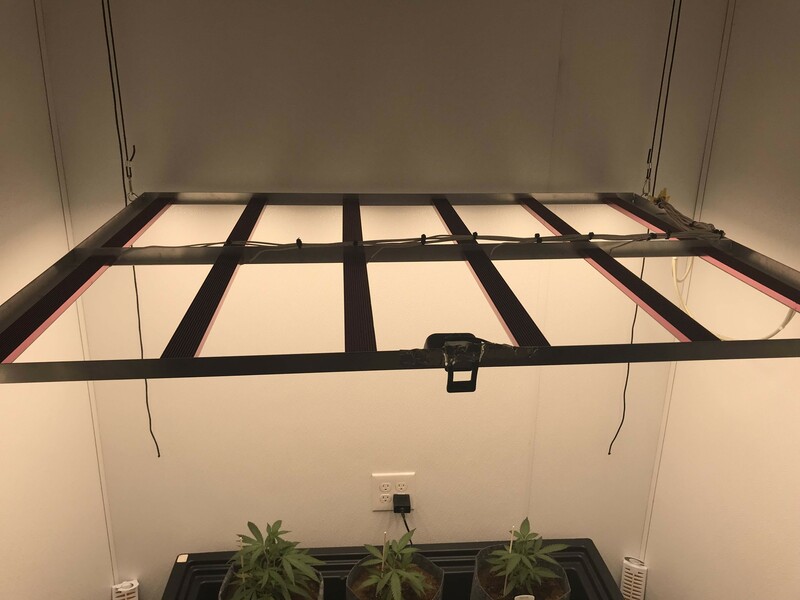 Because the room is completely sealed, we installed (2) 6" intakes to allow fresh air into the room. 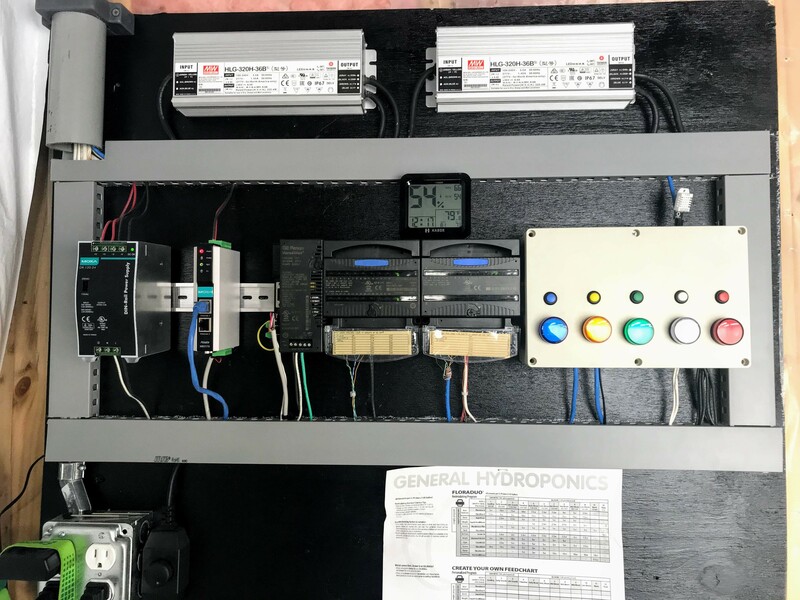 The system is fully programmable using a PLC-based system to control the lights, pumps and fans. For some extra bells and whistles I put in a temperature/humidity sensor both inside and outside the room via Arduino, installed a webcam for remote viewing and installed a speaker to play music for the plants to grow to. 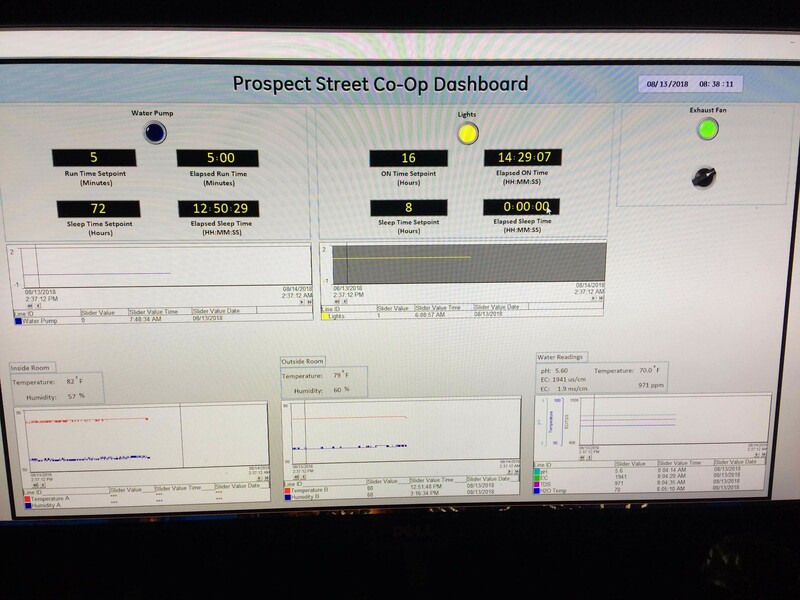 All the data from the system is sent to my computer, where it sends me notifications for when anything happens (lights on/off, pumps on/off, etc..) and gives me an easy interface to adjust on/off schedules.I'm also logging the data to a database so I can see how things change over time and hopefully be able to make educated decisions based on the data so I'm not blindly making adjustments. Looking forward to sharing our first go at this. We've got a great collection of people here in OG and I hope to learn a lot from y'all and hopefully contribute something to the conversation. Good luck, looks like you did your homework. Now it's time to get your hands dirty. 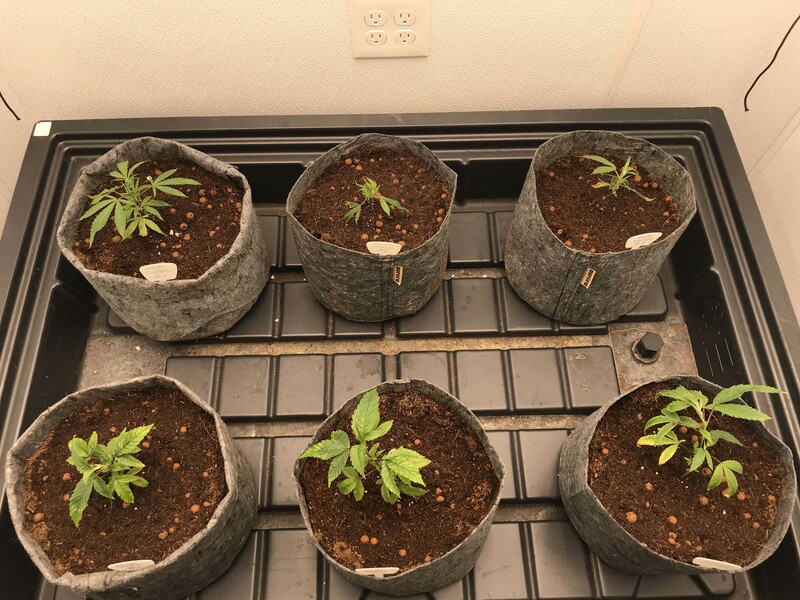 So, we started with six clones I received from my guru nephew who has been doing this for a long time. He gave us (3) Sour Diesels, (2) Star Pupils and (1) Sunset Sherbert. 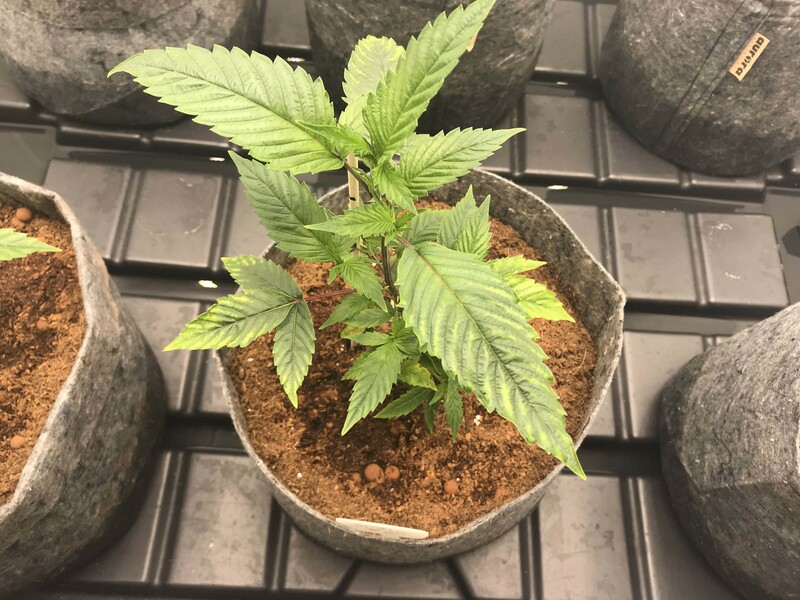 We put the red solo cups in on 8/3/18 and transplanted them in #3 smartpots last week. 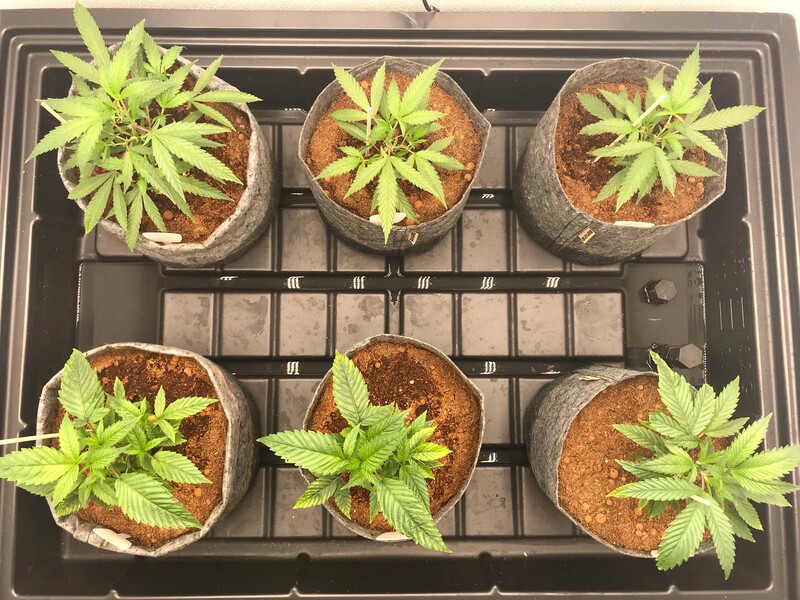 The smartpots are filled with a 70/30 mix of charged coco/Hydroton. I guess this is Week Two of VEG (I'm still learning all the lingo!) and I've been very light on the feeding. 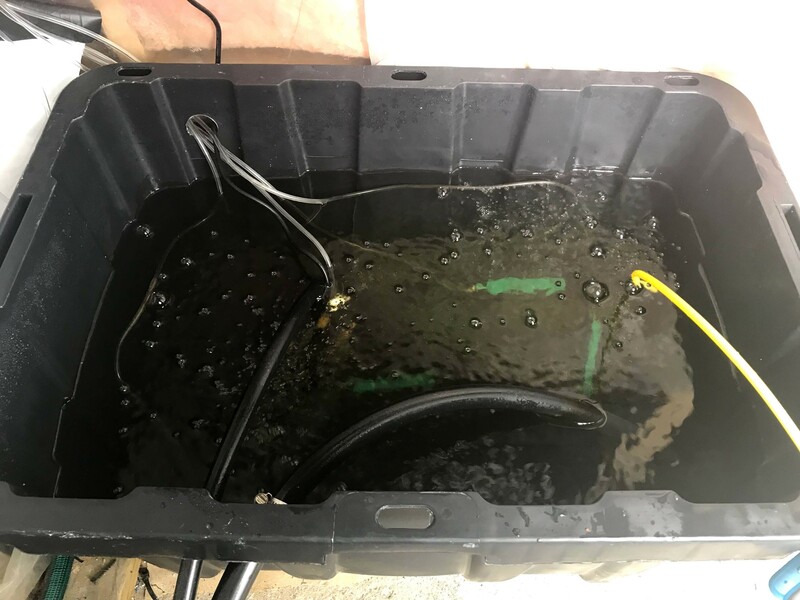 I top-fed for the first week and then flooded for the first time last Monday. They seemed to love it and we flooded again this morning, so right now it's a 5-minute flood every 72 hours. I needed to purchase a RO system as my town water has a pretty high PPM. the RO gives us a clean slate to work with and I plan on changing the rez about every 10 days.I'm using GH CaliMagic, and FloraDuo A/B. 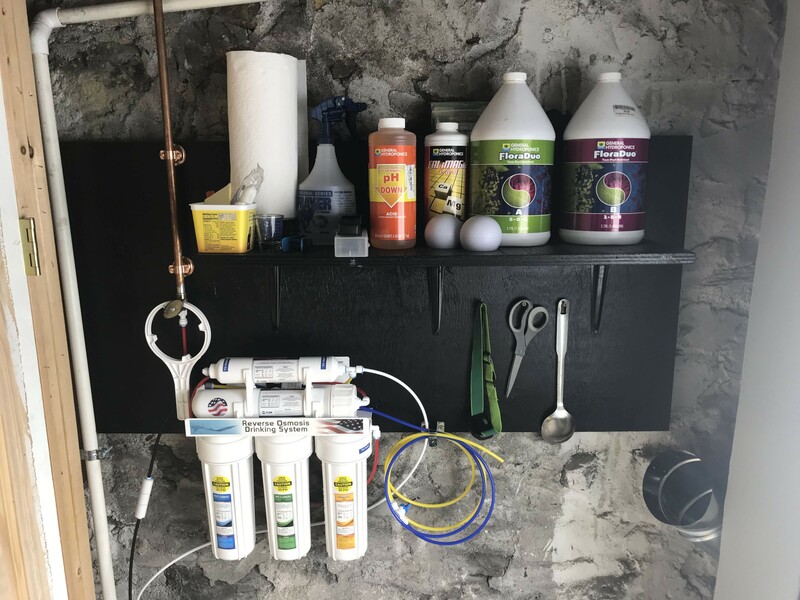 I am manually measuring ppm and pH, but hope to add sensors to the system over time. Here's some pics of the room and our girls! Loving the tech gone into this setup! looks like yo're off to a great start. nice & tidy too. Here's an update after 11 days since the last post. Things are progressing nicely. I've scrapped my plan to SCROG as I think I just need to get through one cycle. I've been absorbing so much info over the last few months, I need to simplify. That being said, I think they are looking good and strong. I can't believe the thickness of some of the trunks and branches. They do seem to be growing bushy instead of stretching. Any ideas why? Is it good or bad? Also thinking of switching to 12/12 this weekend. Any feedback is greatly appreciated! Thanks OG! Not sure how I missed your arrival. Better late than never. 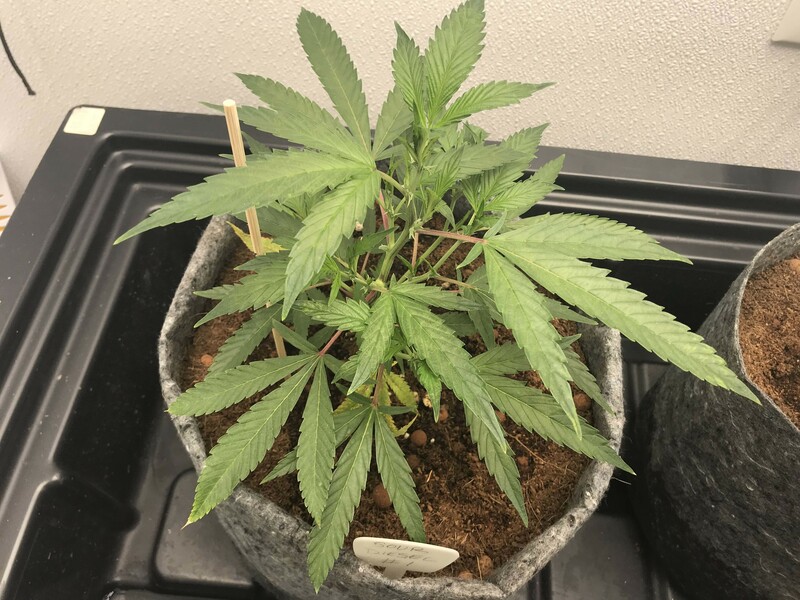 Fine grow you have going on. They do seem to be growing bushy instead of stretching. Plenty of light close at hand, no need to stretch. Raise the light a little if you want some stretch. Halfway through week 5 of veg and the screen is filling in nicely. 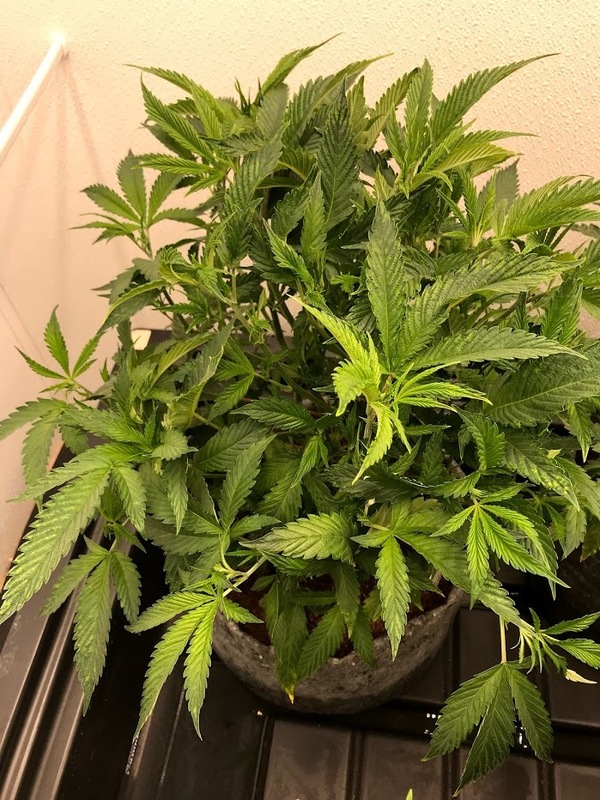 Daily trimming out of leaves that are making too much shade. Getting ready to flip this weekend. 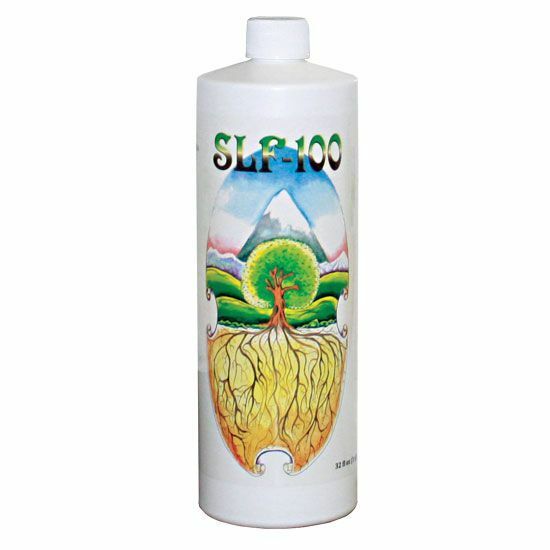 My mentor suggested strongly to introduce some SLF-100 to eat up some of the salt buildup and get the roots ready to rock! 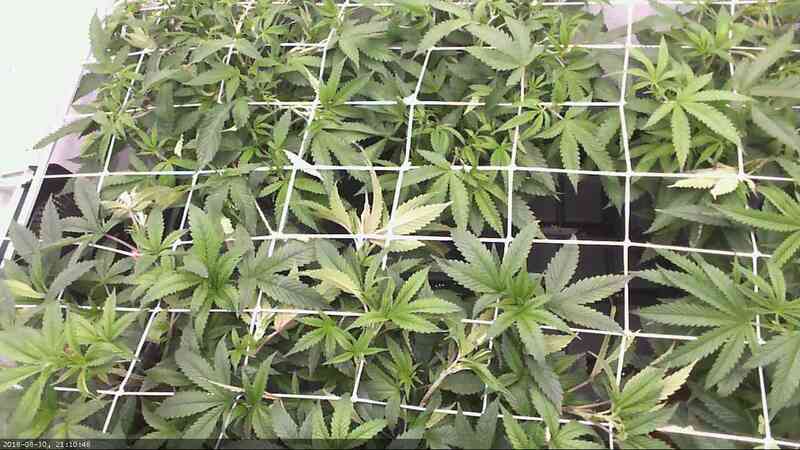 Diggin this grow! You got a good mentor on your side. Always a bonus to have someone with some grows underneath their belt. Cant wait for the flip! The flip is on! Went to 12/12 last Thursday. I can’t see any more opportunities to LST. Maybe I’m just overwhelmed. 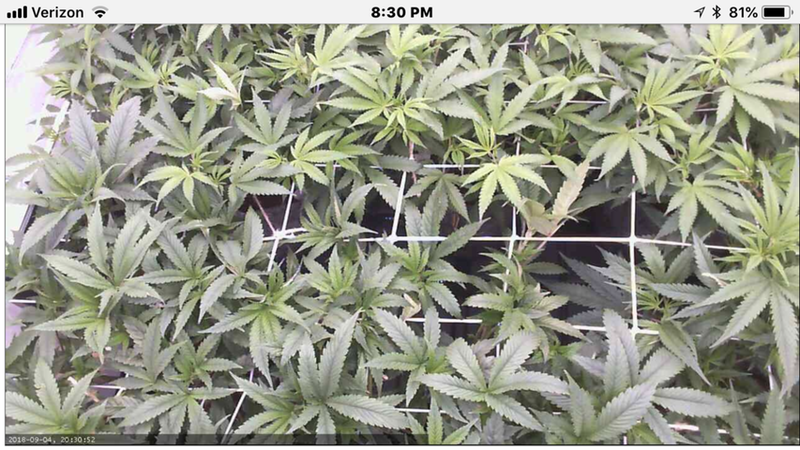 The canopy is pretty full and evenly distributed. 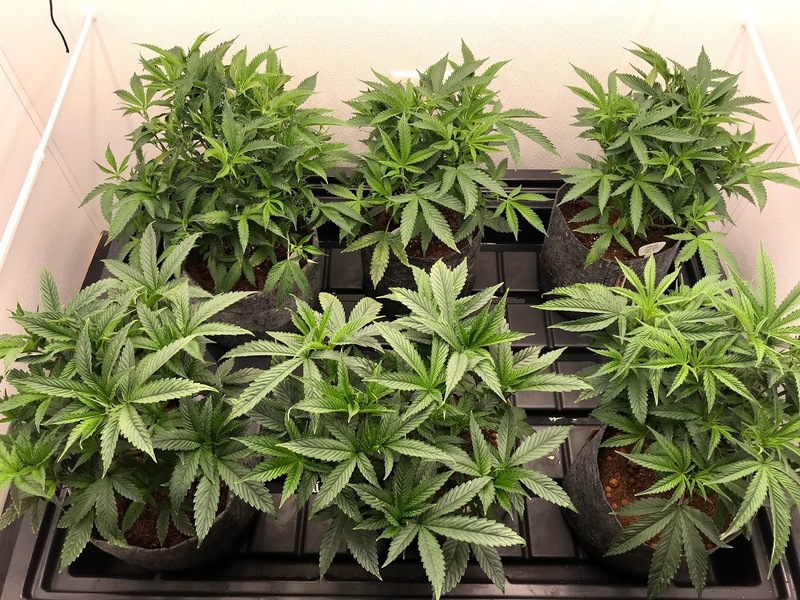 Each plant seems to be growing at the same pace. 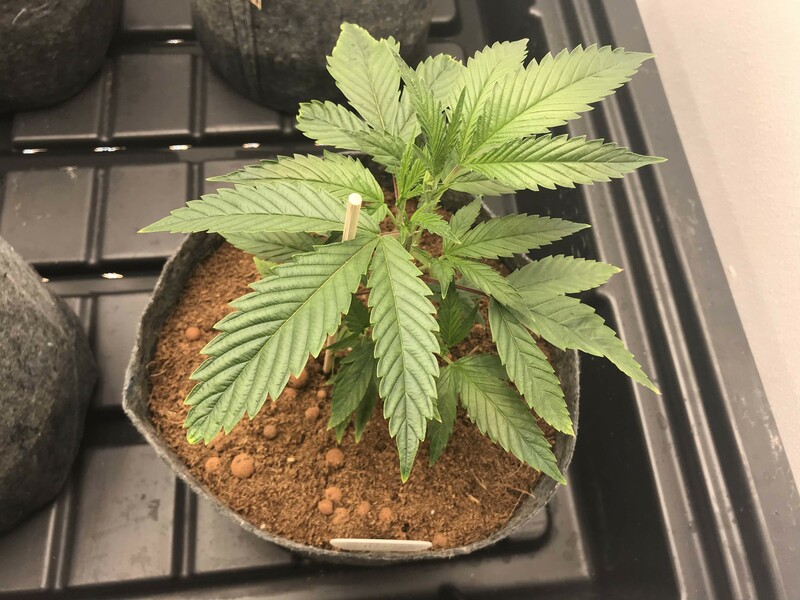 Looking for the first hairs, which will be the true Day One of flowering stage. Could you tells us a bit more about your control system? Did you build this out yourself? Pretty simple. I’m using a PLC to gather inputs (pump status, push buttons, etc) and control the outputs (exhaust fan, pump and lights). My workstation communicates with the PLC and allows me to change on/off times, durations, etc.. and logs all the data to a database so I can look at the historical data to help make decisions. It’s a great system that’s super flexible because I can program it to do anything I want at any time. For example, when I switched to 12/12, I wanted to make sure the flood never happens while the lights are off. Simple programming change in the PLC took about a minute. Similar functionality could be done using the Arduino platform, but I work in the SCADA field using PLCs and HMI everyday so there was no learning curve and I have spare equipment to work with. I am using Arduino to collect temp and humidity to send to my computer and if I didn’t have a PLC, I would have done everything using Arduino. The Sonoff equipment would probably be the next best thing, but not as limitlessly flexible as Arduino or PLC platforms. I communicate to everything using Modbus and my computer emails me whenever anything goes on/off or out of range, like high temperature. 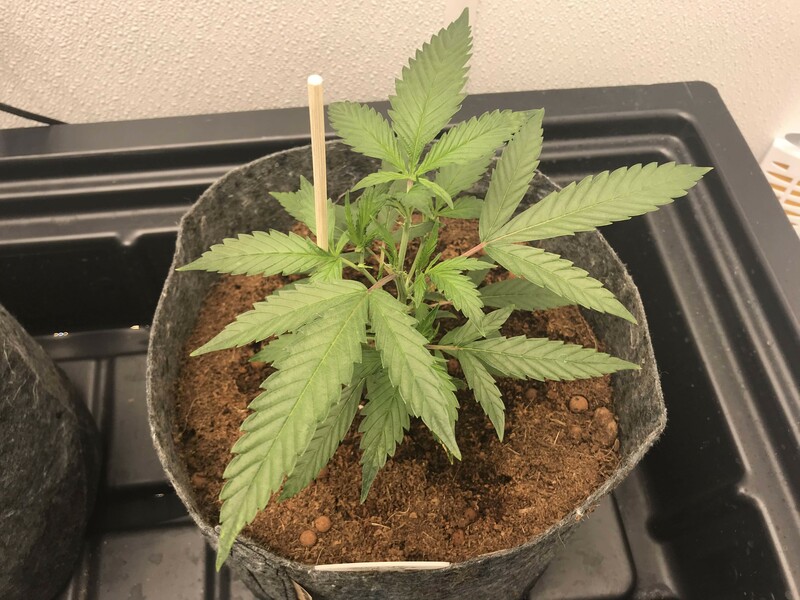 Very interesting mix of grow techniques, and mediums. 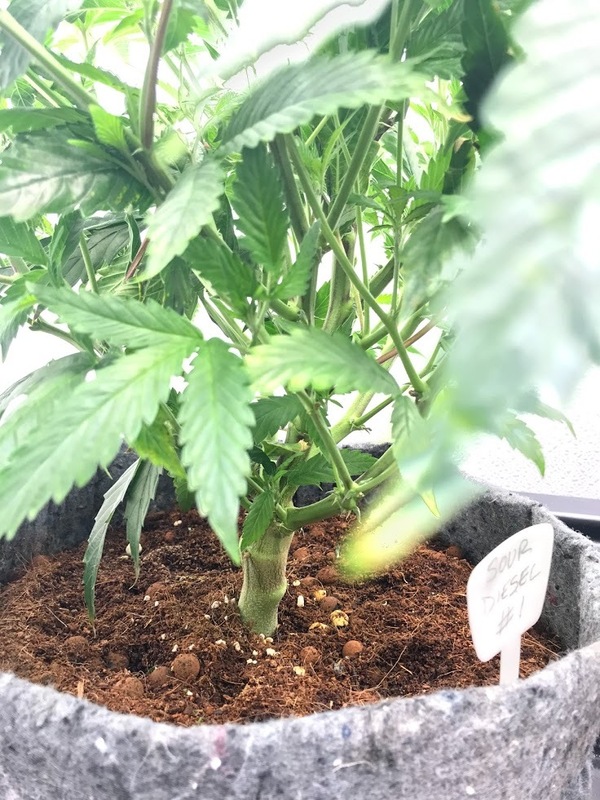 I dont think Ive seen anyone else try this combination - hydroton + coco watered via F/D. It sure looks like its working great for you! 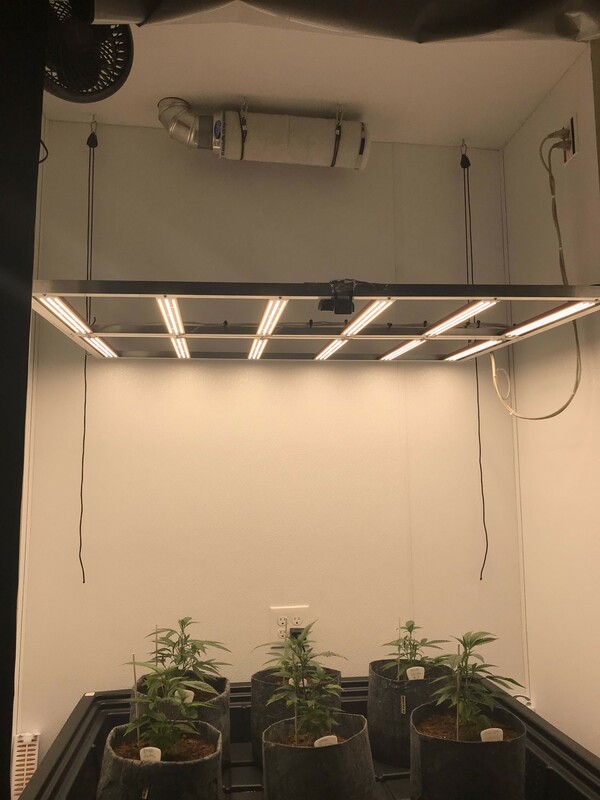 I have found it works well to flip to 12/12 a bit before the scrog screen is completely full. 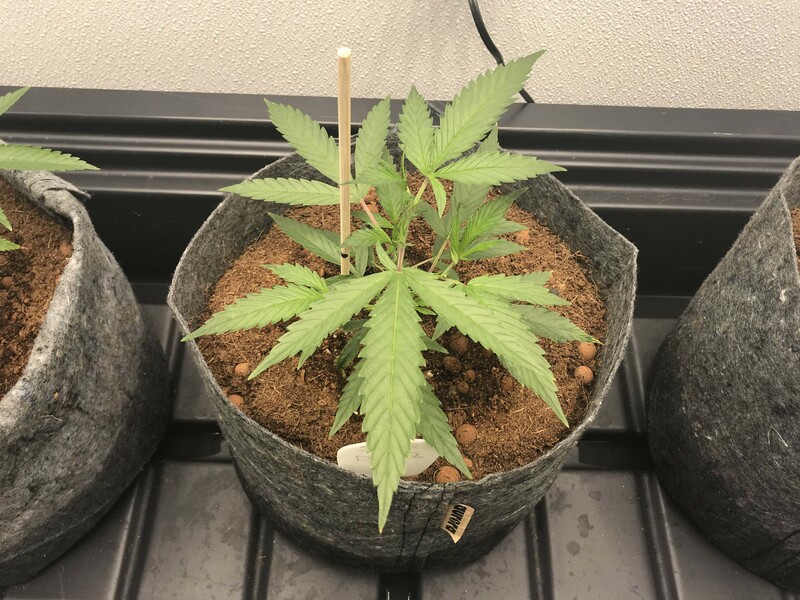 Maybe 70-80% depending on how tall the strain wants to grow. 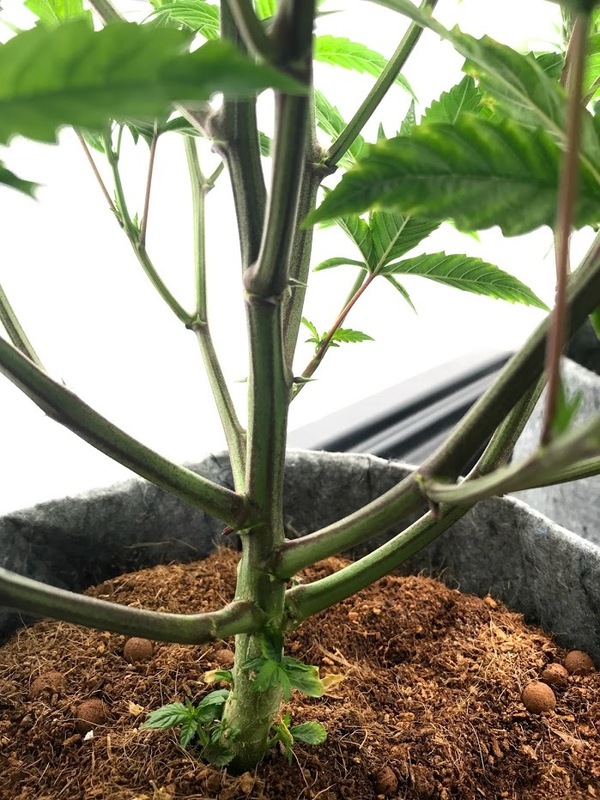 The babies will continue to stretch some after you flip, so its good to have a little excess room to put the extra growth. 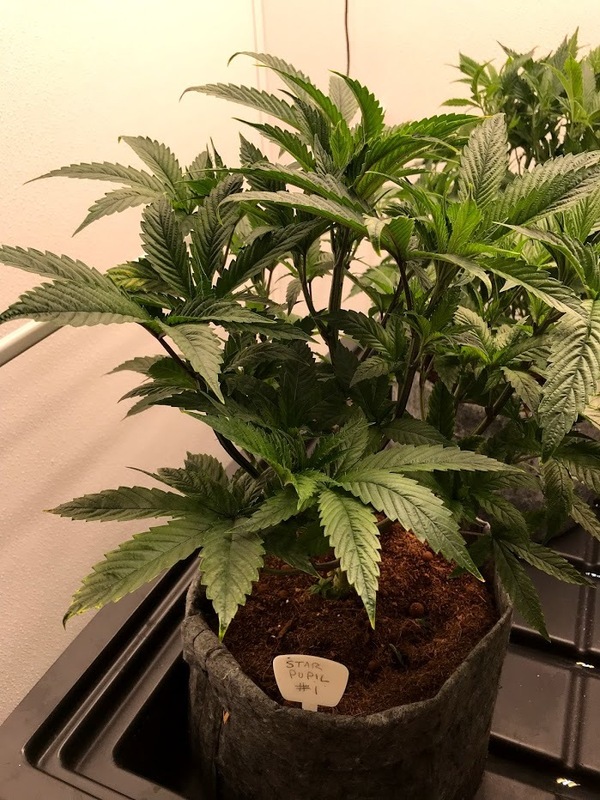 I got away with about 80% full on my mostly indica strains, but I needed to flip with more open space when I did the taller growing sativa type on my last grow. 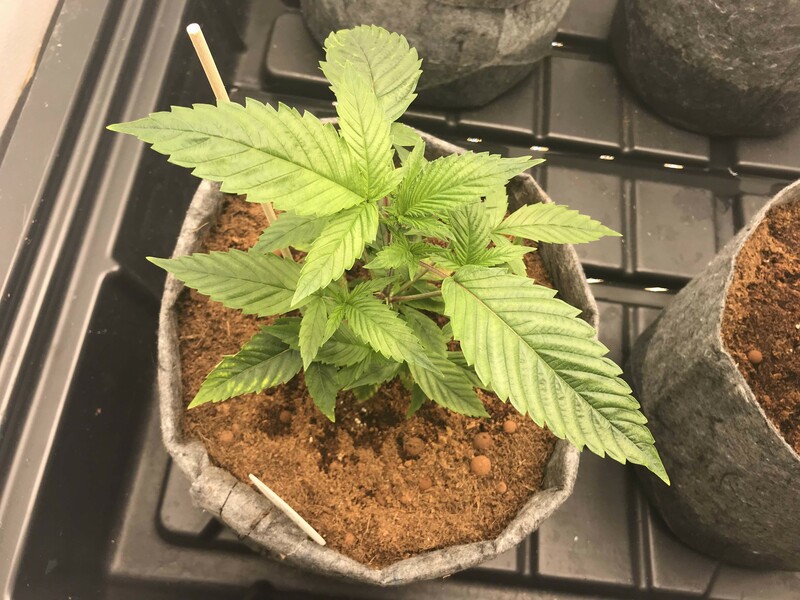 Edit: Almost forgot - with a dense scrog canopy like yours, it might be a good idea to add another small fan to circulate some air below the canopy. Or, make sure you have an air inlet above and outlet below or the reverse. You dont want it to get too damp under there.